"This ham tastes very much like the famous honey baked ham but costs much less, and there's no need to fight the crowds at holiday time. You can even buy the ham presliced to make it easier and more like the original. It is very good. (I do this while preparing the rest of the meal in the kitchen so that I don't forget to baste!)" We made this for Christmas. Very good Turned out great! 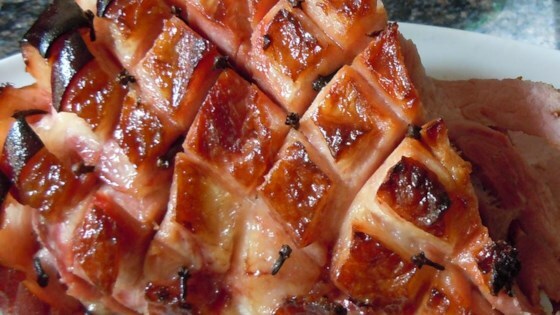 We put the ham & glaze in an oven bag and just flipped the bag every 15-20min instead of basting.